The “Ardvreck Castle Waterfall” was what I’m dubbing this unexpected waterfall surprise that we just so happened to notice when we stumbled upon the equally unexpected surprise of the ruins of Ardvreck Castle itself! 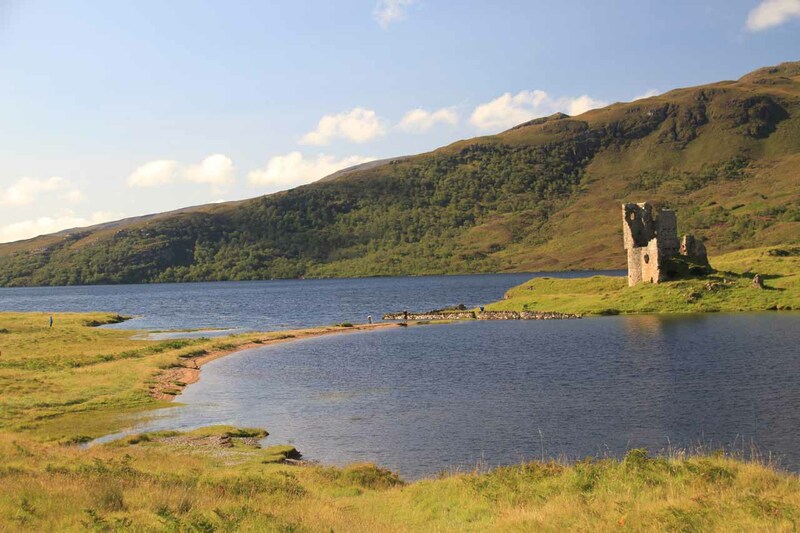 Like many visitors who have been here before us, we never knew this place existed, but the stunning setting of the castle remnants perched atop a peninsula jutting out into the Loch Assynt with tall mountains backing it was simply too much to ignore. 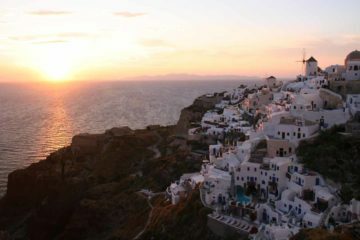 We practically had to stop and take photos while marveling at this seemingly unknown yet sublime spot. 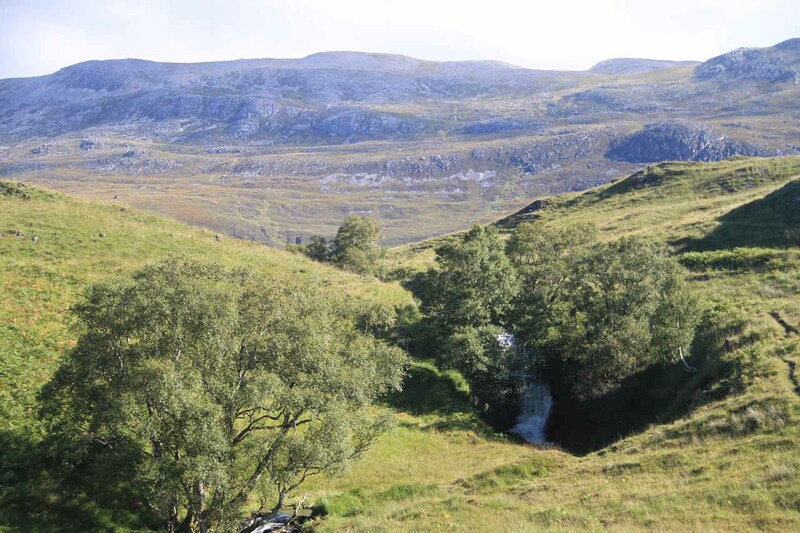 And it was because we stopped at the castle did we look around and suddenly notice the obscure 20-30ft waterfall from a stream emptying into the Loch Assynt almost right where the castle ruins were located! From the castle ruins, we saw there were some rough pullouts just a short distance north along the A837 road from the castle parking area (see directions below). The pullouts were close enough to the main castle car park that we probably could have walked for a few minutes without moving the car. Anyways, from the pullout, we crossed the A837 road then scrambled along a makeshift walking path (more like a trail of use by those who happened to have been here before us) before ending up right before this partially tree-shaded waterfall. The entire duration of the walk only took me around 15 minutes or so including photos. 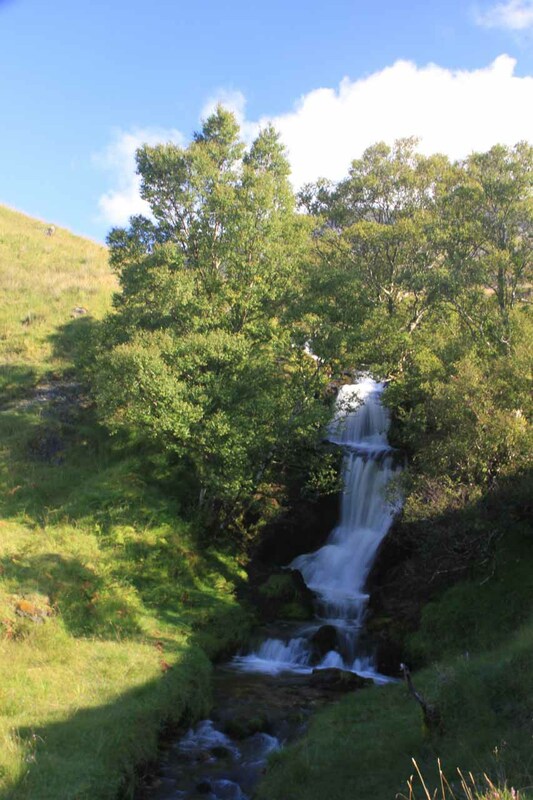 From what I could tell, the stream responsible for this waterfall may be called Alt a Chalda Beag. Other than this extrapolation from trying to match up the maps with my field observations, I’m afraid I can’t say much more about the longevity of the falls other than the stream seemed to be small and seasonal. So it’s conceivable that we just so happened to notice this falls because our timing was such that it benefitted from a lot of rain in the Highlands of Scotland thanks to the remnants of Hurricane Bertha early in August 2014. I can envision this waterfall being nothing more than a trickle or dry without significant rainfall given how thin the stream looked on the map. 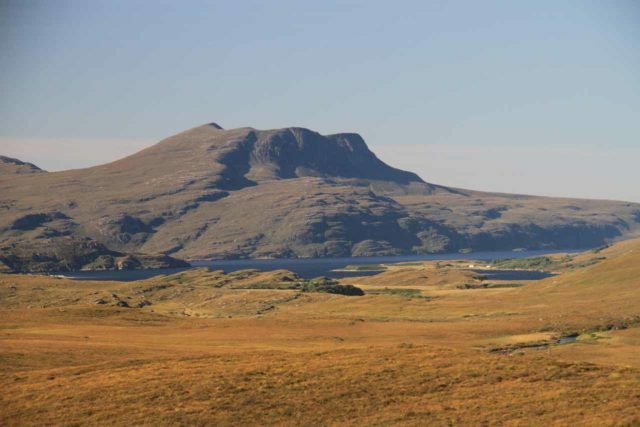 As for the castle itself, it was said to be originally the 15th century seat of the MacLeod Clan of Assynt. 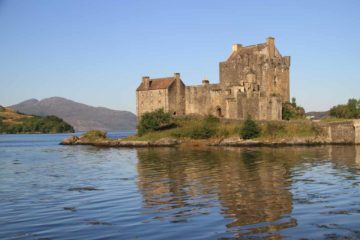 Seemingly typical of most castles throughout the United Kingdom, this one had also seen many violent times both from within the MacLeod Clan as well as from external adversaries. 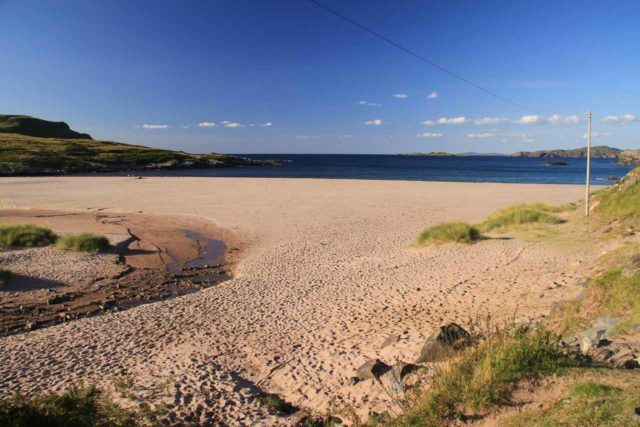 The MacLeod ownership ended in 1672 after a 14-day siege by the MacKenzie Clan from Wester Ross. 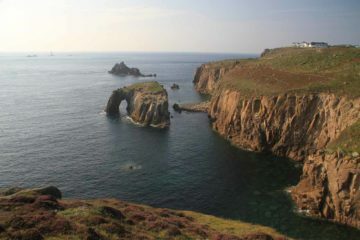 But in 1795, it was said that lightning struck the castle and dealt it the final major blow letting Nature to slowly decay the rest of what’s standing at the castle site to this day. 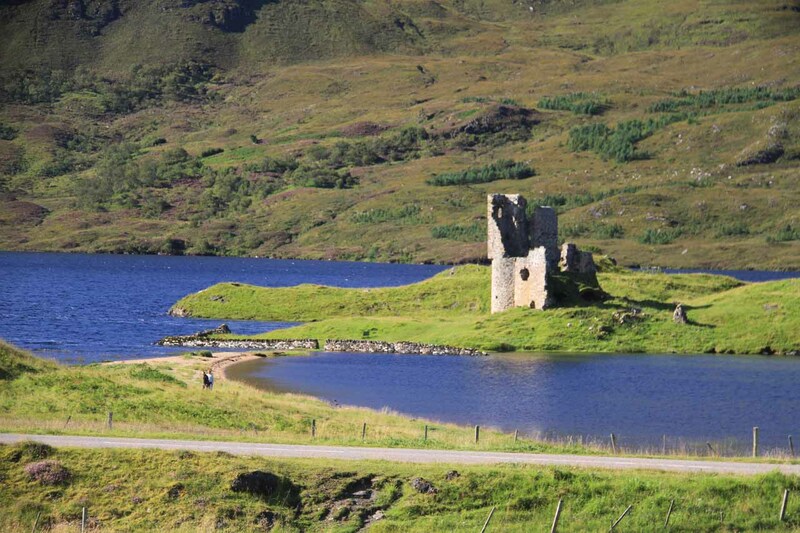 Underscoring the violence in the history of this place, it was also said that ghosts still haunt Ardvreck Castle. We drove up here from the Falls of Measach in the Corrieshalloch Gorge. 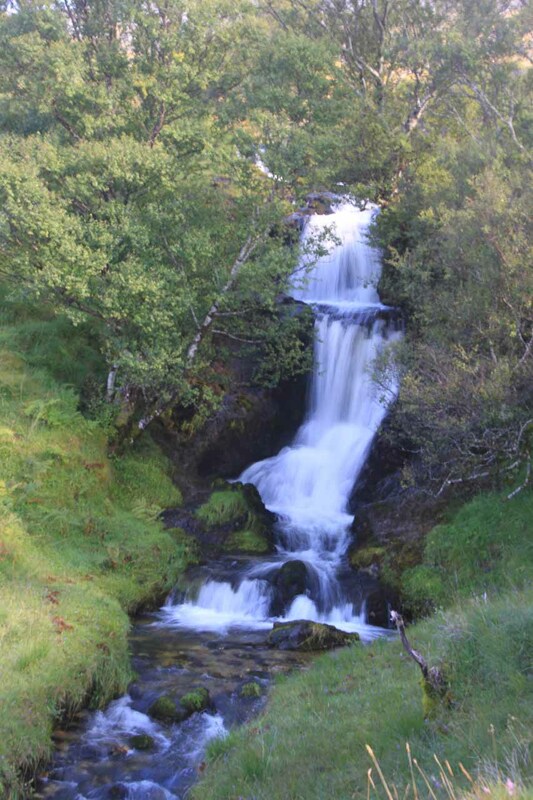 For detailed directions on getting to the Falls of Measach, see that page. Note that the Falls of Measach and the Corrieshalloch Gorge was roughly an hour’s drive northwest of Inverness. Leaving the Falls of Measach, we then continued north on the A835 road for about 37 miles or so. This route passed by the town of Ullapool in 12.5 miles along the A835, and the road became the A837 road for the last 7.5 miles. Overall, this drive took us about an hour (or about 2 hours total from Inverness). To provide you with some context, Ullapool was 33 miles (about an hour drive) south of Kylesku. 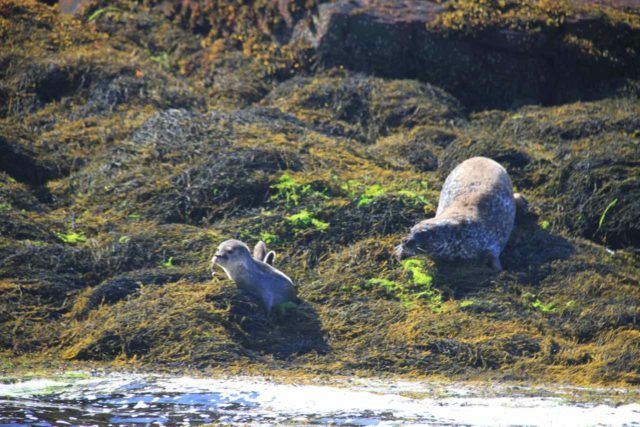 Inverness was 57 miles (90 minutes drive) southeast of Ullapool, 155 miles (3.5 hours drive) north of Edinburgh and 169 miles (3.5 hours drive) north of Glasgow. Sweep of the waterfall we stumbled upon near the Ardvreck Castle. 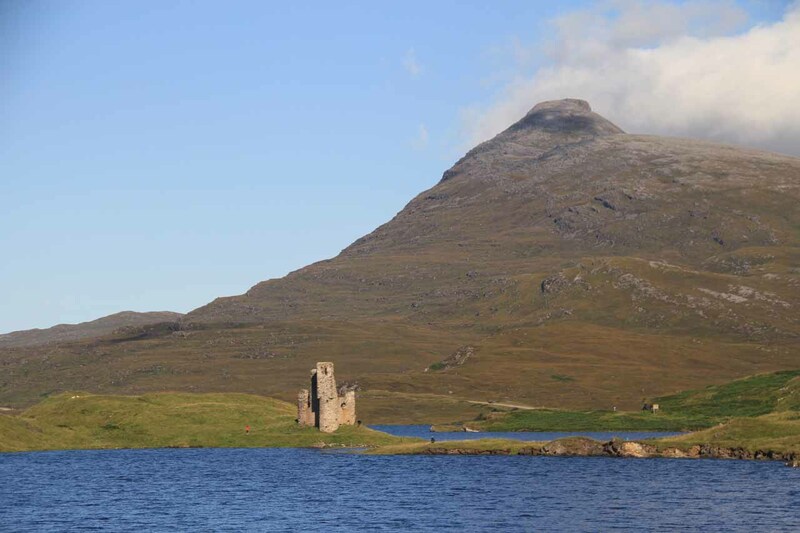 The movie ends with a view of Ardvreck Castle. This was a contextual view of the beautifully-situated Ardvreck Castle perched on a peninsula jutting out into Loch Assynt.